Damla lamp focus on the overall experience of creating an ambience to the surroundings when it is use and the lighting effect created allows the user to feel peaceful or relax. After all, a lamp is another lamp. Inspired by calmness as a concept direction, Damla lamp inspired by the cutting edge lines of symmetrical architecture, the softness of the droplets of rains and the texture of rippled water. Through the understanding of lighting source, Damla creates soft shadow, plays with texture and transparency of the material. 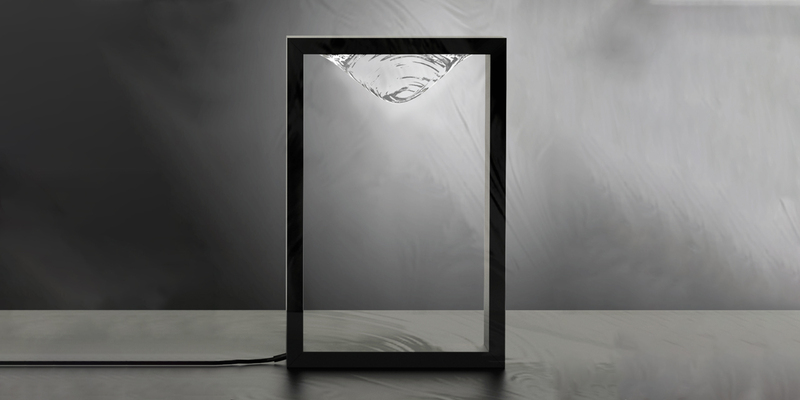 Damla lamp stood through with the straight cutting edge form in the frame structure but the uniqueness lies in the use of textured glass as a contrasting material to gives the softer touch. Damla measures; 200x300x75mm. Profoundly categorize between the minimal tech and chromatic tech color scheme, it comes in two different color which is black and off white. The structural frame is made by aluminum extrusion and glass diffuser can be industrial molded. It comes in two different powder coated finishes which are smooth matte and fine grain finishing. Damla lamp ideally best place in bedrooms as a bed side table lamp as it provides a softer lighting source, but it can be placed in living areas. Taking from the above quote by James Allen, Damla represent a jewel through the form but the most interestingly is in the effect of calmness that it creates to the users.